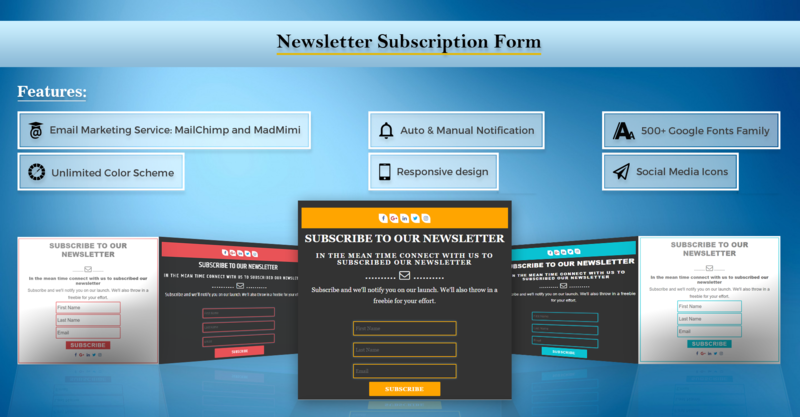 Newsletter Subscription Form Plugin for WordPress Users will Show a responsive newsletters form by widget and shortcode, This plugin will automated emails and auto responders. Capture subscribers list with our form subscribed users data table. The plugin allows collecting all visitors subscriptions. Auto and Manually Notify to all your active and pending subscriber user about your site by notification mails. Glad to announce today that We have launched a new plugin “ Newsletter Subscription Form ” WordPress plugin.